Dopamine, endorphins, and serotonin are all released when we smile, causing our blood pressure to lower, and helping us to relax, even when we’re in a tense situation. These effects can be immediate and go a long way to easing tension. Smiling isn’t just beneficial for your stress level—it can help the people around you to relax as well. An article published by the Huffington Post suggests that people perceive an authentic smile as a sign of trustworthiness and approachability. Your coworkers, family, and friends all benefit from the tension release provided by smiling. Often, smiling is rather contagious and spreads through a group like a ripple effect, so be the first to flash one and put everyone at ease. Smiling has a profoundly powerful effect on depression, pain, and anxiety. The endorphins released during the act of smiling can help to reduce pain sensation in the body. Serotonin levels also rise, helping to quell depression and anxiety. Even though it can be hard to remember to smile when we’re feeling pain, depression, or anxiety, it can really help us get on the road to feeling better. There have been hundreds of social experiments conducted on which waiters get the most tips, which companies are rated highest in customer care, and which employees are more likely to be rewarded with raises and promotions. Smiling almost always pulls out ahead. Even if you don’t work face-to-face with anyone, it can still improve your work environment. You can “hear” a smile when someone’s talking on the phone and the effects are similar to those you get in-person. People are drawn to smiling because, once again, it puts them at eases and instills confidence in the smiler. It’s a powerful magnet to those around you and gives a strong impression that you’re pleasant to be with. Want a natural immunity boost that helps the body defend itself against illness? Try smiling! A study at Berkeley found that smiling impacted heart rate and had a dramatic effect of stress response. Since stress and heart health are directly related, anything that helps to keep it in check is beneficial to your overall health. Making a habit out of smiling can retrain our brains to expect positive things to happen. These “happiness loops” help to encourage positive thinking patterns, and the more we build, the stronger the effect becomes. If you want to start having a more positive outlook, smiling is the simplest place to begin. An authentic smile is a lot easier to do if you feel good about your grin. 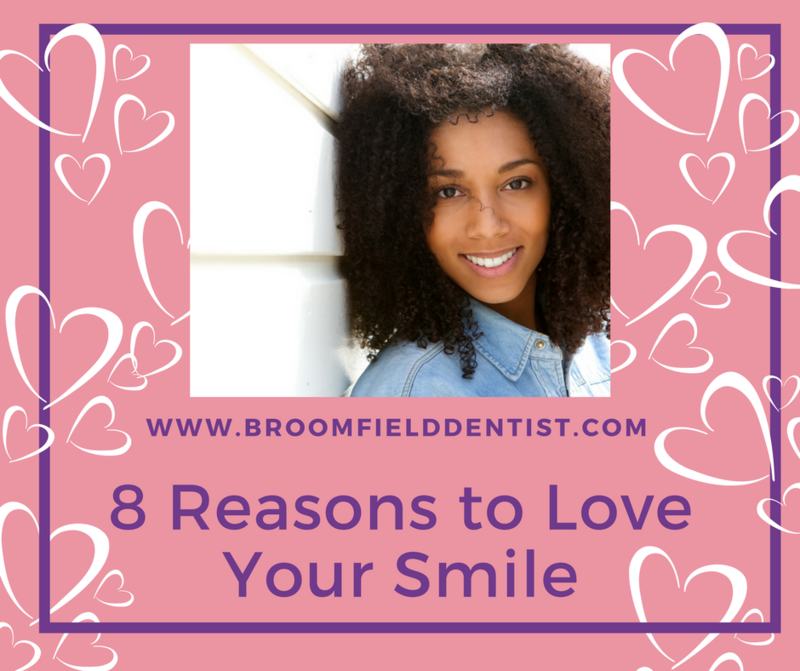 If you’re feeling self-conscious about your teeth because of gaps, missing teeth, strains, or other issues, you may be missing out on these wonderful benefits.